Crusade Services was the first cleaning company in Singapore and Southeast Asia to be awarded the ISO14001 certification for designing and implementing an effective environmental management system. 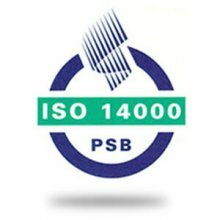 The ISO14001 is an internationl standard which specifies the requirements of an Environmental Management System (EMS) – a systematic approach to the environmental practices of an organisation to control the impact of its services, products and activities on the environment. Crusade Services has been ISO14001-certified since 1997. The SEAA was developed to inspire Singapore organisations to be more socially responsible and committed to the well-being of the environment. To achieve this award, an organization must establish green practices and procedures, ensure staff training and continually innovate to achieve breakthroughs in environmental performance. As a leading provider of eco-friendly cleaning services, Crusade Services was awarded the very first Singapore Environmental Achievement Award in 1998. We use environmentally friendly cleaning agents and equipment in our daily operations and incorporate business practices that reduce energy consumption, air and noise pollution. We also promote water conservation and recycle waste that would otherwise pollute the environment. The ODS-Free Verification is a voluntary third party process verification scheme. Crusade Services became the first in the local cleaning industry in 1999 to be certified by the TÃœV SÃœD PSB (previously known as PSB Corporation) that all its cleaning chemicals are environmentally friendly and free from chlorofluorocarbons (CFC) Class I and II. This signifies our commitment to preserving the environment. Crusade Services achieves quantum improvements in safety and health standards at the workplace. We create a safer and healthier work environment for employees, increase business competitive edge, and gain recognition by BizSAFE partners and industry.